I was reminded after writing the last post regarding our need for someone who has the knack for taking care of things or fixing things about this video. I have a brother who is an engineer, and he exhibited some of these characteristics as a kid. Also, our son Peter is a bit like this. Enjoy this Dilbert clip. Do you Know Someone Who Can do Anything? I have noticed on mission trips, especially to mission hospitals, that there is always someone there who can do almost anything, especially in regards to working with their hands. This person will fix the generator when it breaks. They will build things that need to be built. The fix cars, and remodel old rooms. They are handy! They intuitively understand how to do things. We need one of those people soon. If you know someone like this who has always wanted to working in missions and is willing to work in Spanish, let us know. We can use them. From the Hospital Diospi Suyana website. This Man Needs to Be Replaced. But How? It is said that everyone is replaceable. With Michael Friedemann, one must ponder if this saying is really true. 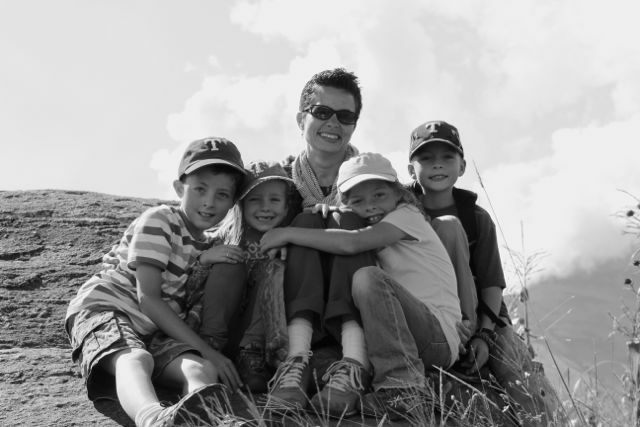 In a few weeks, Michael and Annett Friedemann, along with their four children, will return to Sachsen, Germany. The past three years have flown by very fast! We are urgently looking for a capable successor. Perhaps you as readers know exactly the right person for the job. Or perhaps you know someone in your circle of contacts who has two right hands. Our employees usually come to Peru for 3 years. They are committed Christians and live by their own donor group. Considerable financial loss and a lot of inconvenience often goes along with the job description. 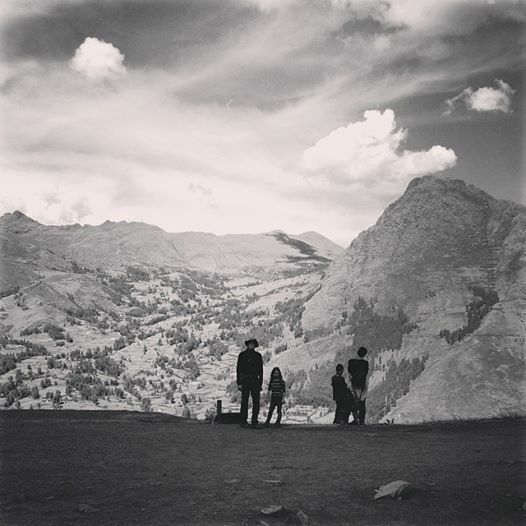 This profession that takes place at nearly 9000 feet above sea level often puts your faith into practice. Gook looking crew have a good time! It is usually only half as crazy as it looks. Allison teaches a class for the English speakers at the school. The class is similar to a one room school house with ages ranging from 11 to 6. All our kids say it is their favorite class. This is both because their mother is the teacher, and because it is entirely in English. We are fortunate to have some good and challenging curriculum that emphasizes US history and english literature. The kids are doing readings at school and at home. I look at all the books they have and I remember how enjoyable school in the primary years was. It was fun to learn without the preoccupation of grades or performance. Unfortunately our kids are taking most of their classes in Spanish, so it is a bit more challenging for them. I think that is why they like this class so much. In regards to all the kids Spanish; they are doing great and learning rapidly. Sarah will be naturally bilingual, and Annie might be because they are learning their Spanish at a young age. David and Peter will have to work a little harder to learn grammar and vocabulary. David is a gifted learner in regards to Spanish and is progressing well. He is willing to talk to anyone, and this helps him to learn. As we have been walking around Cusco this weekend, he has been leading many of the conversations and his verb conjugations and tenses have been spot on. Peter is more stealthy in his progress, but every time he venture to speak, he impresses me with his knowledge. Sarah and Annie have very good pronunciation; if only I could sound so good. They all are much better than me when it comes to understanding spanish when listening casually. If I am engaged, watching the persons lips, and really listening, I do pretty good, and probably better than they do. But if it is on TV or just someone talking near me out of my sight, I often cannot understand what is being said. All the kids understand very well when listening casually to people nearby or when watching a movie in Spanish. It is really impressive to me, and I enjoy watching them learn. I am thankful that they are making such good progress. I don’t blame them for loving their mother! We are enjoying having David Smith, Allison’s father with us here in Peru. His two weeks with us are nearly over and we will be sad to see him leave. As we were driving home from dinner tonight the kids started to realize that the time was short. 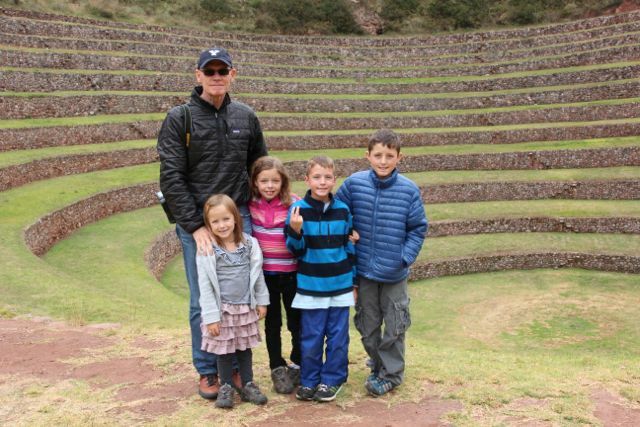 We are taking a few days to visit the Sacred Valley on our way to Cuzco where we will leave David at the airport. The kids were processing that he would not be going home with us to Curahuasi. I think we all want to live in a bit of denial that his visit is coming to an end. We love having visitors, and we especially love it when our family is here. All the kids and Allison and I agree that it is great to have to have grandparents in Peru! To tell you the truth, I have not read this book yet. But I probably will, and maybe we will add it to the kids reading list for school if we think it would be helpful for them to understand what is going here in Curahuasi. Life is a constant wonder for them. They are content, but they miss their family in the US. They miss seeing their cousins and grandparents. They wonder why Mom and Dad are sometimes being critical of a people we have come to serve (it is shamefully true Allison and I will complain about things that are probably just cultural differences. It doesn’t make them easier to accept, and we should probably be more careful to discuss how we have problems with the culture in private.) So I am hopeful when we read this book it will explain things well and we can share it with the kids. Perhaps if you want an easy read of the story of Diospi Suyana or your kids are interested, you can read it yourself or share it with them. From the hospital website. Janet und Geoff Benge from New Zealand have written many exciting books for young people. To date, a total of more than three million copies of their creative work has been sold. Their latest publication is a biography of Klaus-Dieter John, including extensive references to his wife Martina. Over the past two years, Janet and Geoff Benge have been following the missionary couple via email and telephone and went to see them in person. The result is a book in English language whose Spanish translation will be published in a few months’ time. Two weeks from now and against a donation you may order the book from our German office or order it direct as an ebook from Amazon. 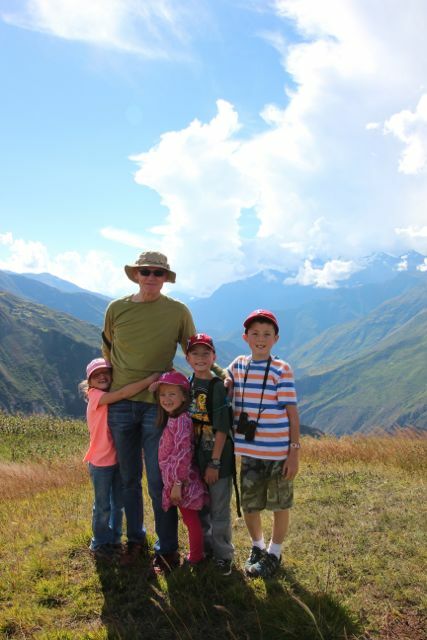 Dr. John’s seemingly impossible vision of Diospi-Suyana, a world-class hospital for impoverished Peruvians deep in the Andes Mountains, was blessed by God to the end. Despite challenges in fund-raising, construction, moving his family from Germany, and countless roadblocks, Klaus’s dream was finally realized, bringing hope in a land loved by God. (1960-).